How do I change the administrator password of my DIR-857? How do I change the administrator password of my DIR‑857? Step 2 – Login to the router. 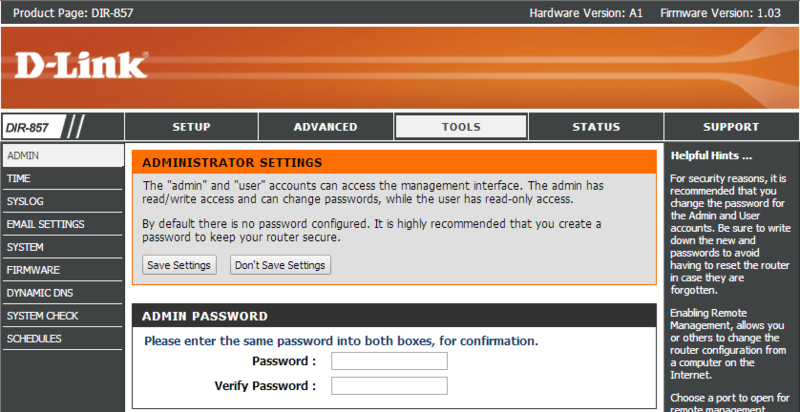 The default username is Admin there is no password by default. Step 3 – Click the “Tools” tab on the top menu, then “Admin” on the left hand menu. Step 4 – To change your password, simply type the password into both fields, then scroll down and click “Save Settings”.